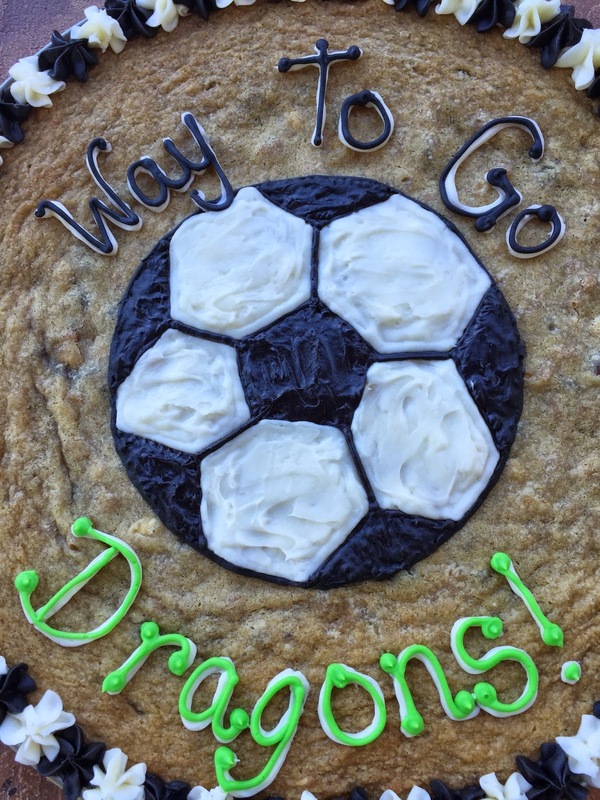 Today was Wyatt's last soccer game and we made this cookie cake for the after party. 1. In large bowl, beat butter, granulated sugar, brown sugar, and vanilla until light and fluffy. Add eggs, one at a time, beating well. 2. Gradually add flour, salt, and baking soda, beating until well blended. Stir in chocolate chips and nuts. 3. Spread in greased 16 inch round pizza pan. Leave 1 ½ inch border to allow for spreading. Bake at 350 degrees maybe a little less for 15 to 20 minutes. Cool cookie in pan on a cooling rack. 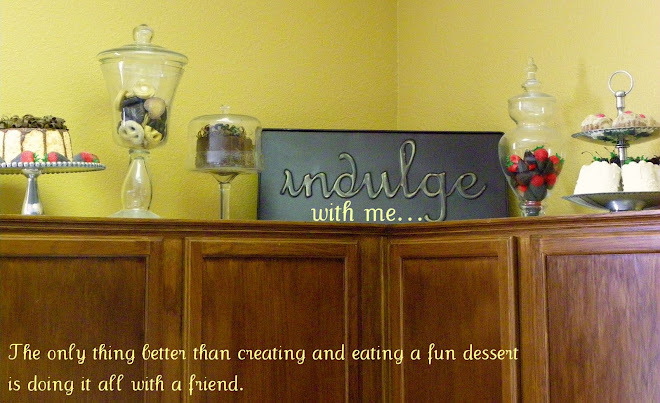 Decorate as desired. 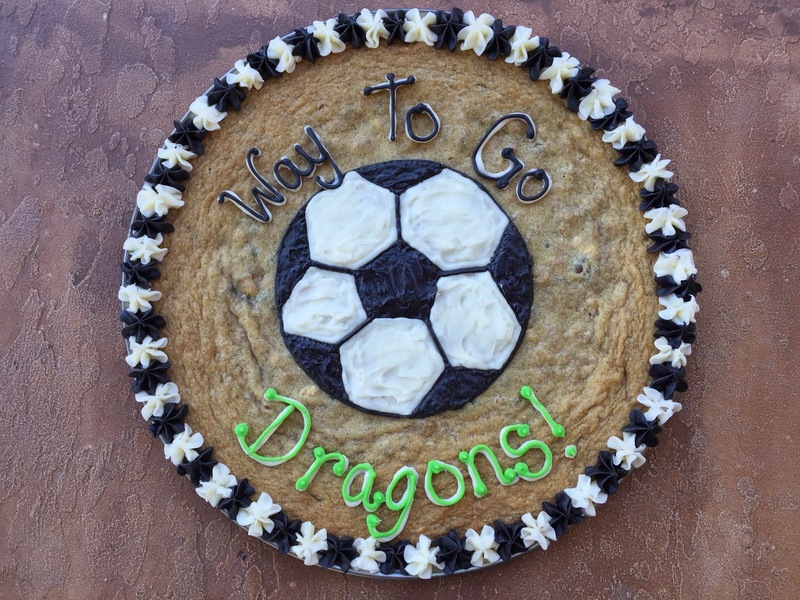 To make the soccer ball I traced a big circle lid using black frosting onto the center of the cookie and filled it in with a soccer design beginning with the black pentagon shape. Don't look to close at my shapes but you get the idea. 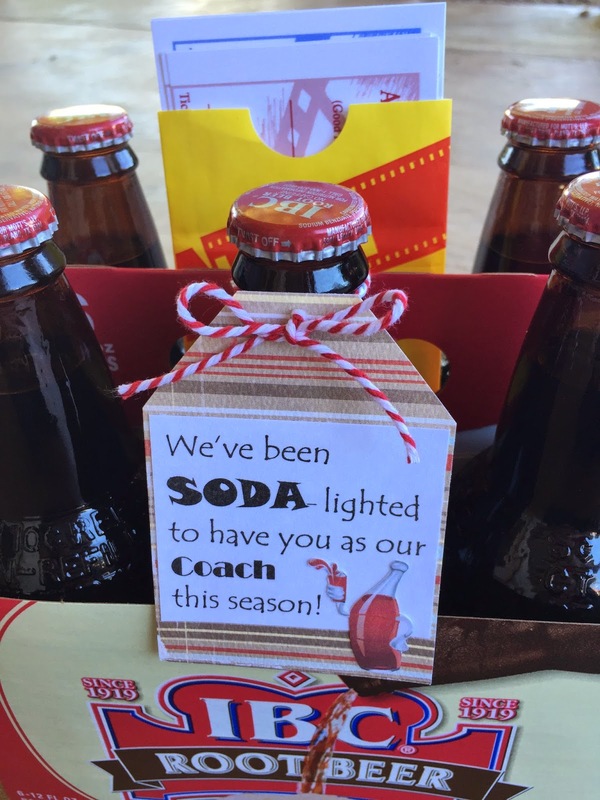 This was what our team got Coach for his appreciation gift this season. We try to always do movie tickets because that's what he and his wife love to do. 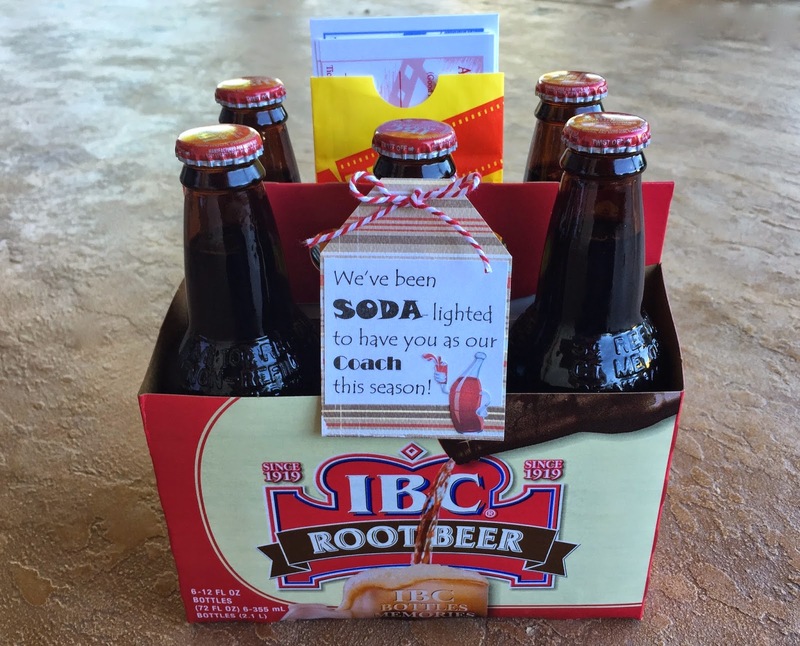 We made it a little more simple this time: movie tickets and Root Beer. I found a tag similar to this online and tried to copied it. Mine is of course not as cute but it was fun to do.